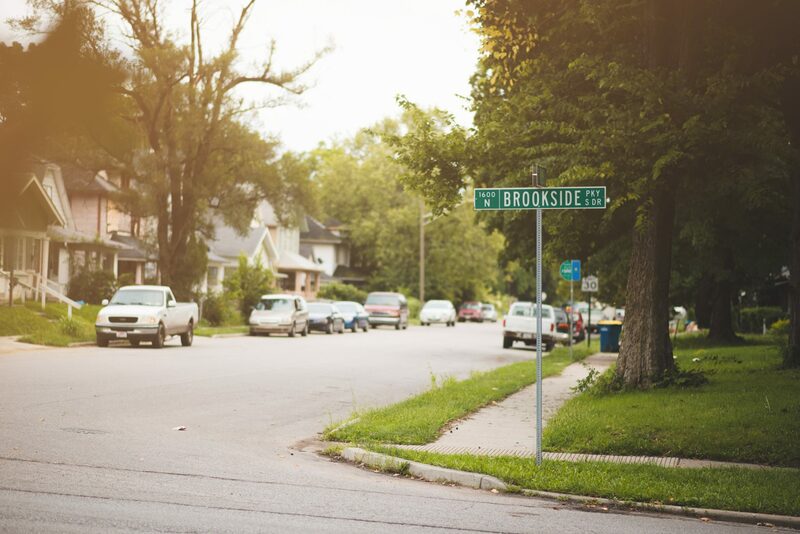 Less than four miles from the city’s revitalized downtown (including the Indiana Convention Center and 10-year-old Lucas Oil Stadium), Brookside is lined with quaint old houses and spacious yards. If you tip your head and squint, you can see how it used to be a beautiful and bustling middle-class neighborhood back in the ’40s. It’s been that way for a while. More than 20 years ago, when College Park Church asked the mayor which part of their city needed the most help, he pointed to Brookside. The church initially started a Saturday kids’ church in a local community center in the mid-’90s, but the need seemed greater elsewhere. College Park spent the next 10 years focusing on other countries. It wasn’t until a congregational survey in 2006 that the leadership realized their weakness on local missions. “We needed to ‘build bridges of grace that can bear the weight of truth,’ a statement I borrowed from Randy Alcorn,’” lead pastor and TGC Council member Mark Vroegop said. Shaw was tapped to start the local effort. He figured they’d focus on Brookside—after all, they already had that kids’ church there. Shaw wasn’t naive; he knew it wasn’t going to be easy. The set-up—a wealthy megachurch from the suburbs reaching back into the city—does not lend itself to easy success. Even with patience and hard work, there are cultural and socioeconomic barriers that often prove too hard to cross. He’d seen other churches try and fail and try and fail. That’s why it was so weird when College Park succeeded. For that change to happen, holistic investment was needed—everything from job opportunities to education to mothering support to legal aid, all centered around the grace and guidance of the gospel. It’s too much for any church to pull together in 10 years, even one with the resources of College Park. And that’s the secret. Because aside from planting a church in 2012, College Park didn’t set up a single program or design a single ministry. Shaw is on the extreme end of extrovert, honking and waving hello to every single person he drives by, whether he knows them or not. He can’t stop himself from chatting with strangers in the park or restaurant or street. He hasn’t read When Helping Hurts, but he did listen to co-author Brian Fikkert when he came to speak to College Park. (“I love that guy,” he says enthusiastically.) And Shaw’s nature lends itself to asking questions, listening, connecting people, and investing in relationships. So when College Park took its first Christmas offering for local ministry in 2008, Shaw didn’t use it to start a local ministry. Instead, he thought about the people he knew who were already running good urban ministries. Heart Change—a discipleship and life skills school born after College Park member Cindy Palmer saw the ongoing needs of moms at the pregnancy center where she volunteered—said they’d move into Brookside when Shaw offered them a small, unused building. And a shrinking Nazarene church gave College Park their building for Kids’ Church and other ministries in exchange for renovating it. Kids’ Church was by now 10 years old, and steadily plugging along. But with the excitement at College Park around building a new sanctuary, commissioning more than 50 missionaries, and planting two new churches, it wasn’t grabbing a lot of pulpit time or headlining any capital funding campaigns. 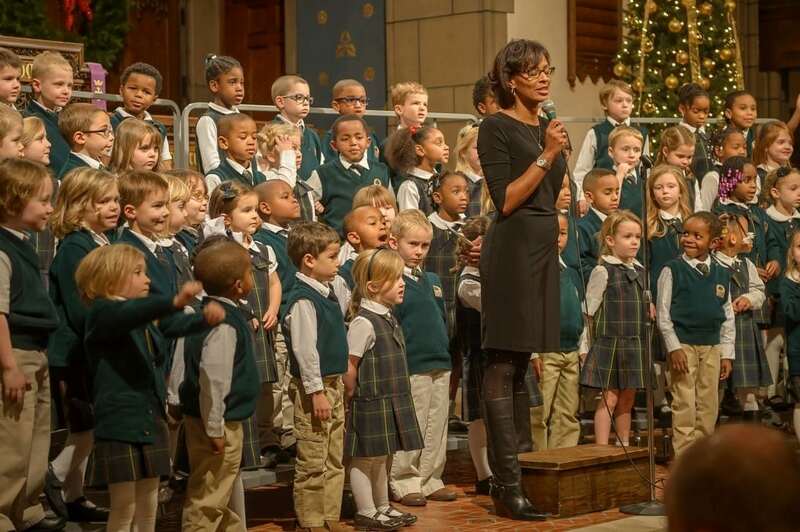 While nobody was looking, Kids’ Church had slowly built a foundation for everything else. The best thing College Park did for Brookside was not try too hard in the early days. The church didn’t roll in with well-funded programs staffed by outsiders, provide quick answers to decades-long problems, or even set any long-term goals. Instead, Kids’ Church staff and volunteers learned about problems without being able to offer immediate solutions, watched the slow progression of intergenerational poverty, and built genuine friendships. When Kids’ Church did get its own space and a little more attention, it stabilized and began to grow. 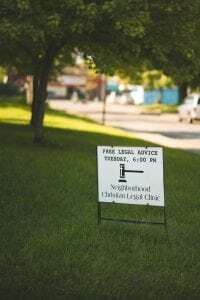 The College Park boost helped the legal clinic (which takes between 100 and 200 cases a year) and Heart Change (which outgrew its meeting space in two years). The more College Park got to know Brookside, the more opportunities for long-term development it saw. And the more development it did, the more change it saw—in both Brookside and College Park. College Park also helped elder David Palmer (Cindy’s husband) start a furniture-making business. Purposeful Design grew up in response to Palmer’s 15 years of volunteering at a nearby homeless shelter, hearing “I’m looking for a job” over and over. He began teaching the men how to work with wood and how to read their Bibles. 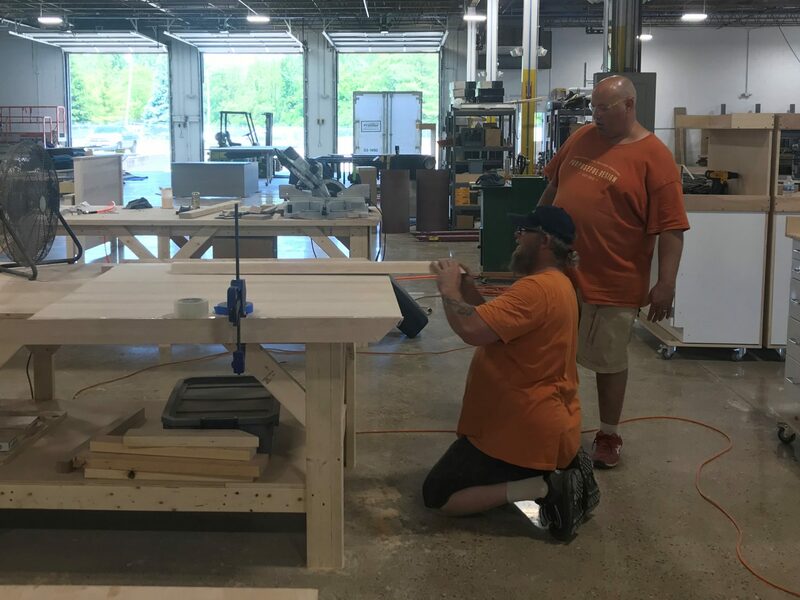 Palmer now employs eight full-time craftsmen—all formerly addicted and/or homeless. He didn’t. Phillips “got in with the wrong crowd,” drinking and doing drugs. He taught himself to read in prison, and picked up a Bible in another prison. He found out about Purposeful Design while staying in the homeless shelter where Palmer used to volunteer. College Park’s efforts in Brookside were working. In fact, it looked like a textbook example of the When Helping Hurts principles—listening and building relationships, grassroots ministries springing up in response to actual needs, long-term development instead of quick relief, centering everything around the gospel and the need to live biblically. 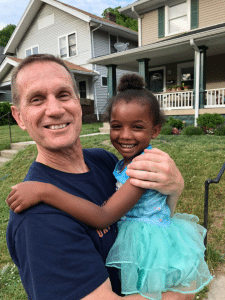 The most influential cheerleaders are peers—the men and women from the neighborhood who have already believed the gospel and begun to stabilize their lives. But the B-team cheerleaders from College Park are also passionate, because nothing is more attractive or invigorating than watching the Spirit of God at work. (“I told my husband I would do this for free,” Altman said.) They just kept edging closer and closer—until they started moving in. College Park sits in the first suburb north of Indianapolis. Carmel (originally named Bethlehem by Quakers back in the 1830s) was ranked America’s best place to live at CNN Money in 2012, then by Niche.com in both 2017 and also 2018. Seven out of 10 Carmel residents have graduated from college. Most own their own homes (78 percent), the median value of which is more than $305,000. Their median household income tops $106,000. No one’s been killed there since a man shot his wife and then himself in 2014. College Park fits in well, with 2,400 members, a gorgeous new sanctuary, and an $11 million annual budget. The church offers live-streamed church services, small groups (you can search for the one geographically closest to you), and online directions on how to donate stock. The congregation is about 30 minutes north of Brookside. From the beginning, it seemed like a long trip, especially since part of the ministry of Heart Change is picking up mothers who don’t have their own vehicles. Heart Change volunteers went with their moms to the bank, to the doctor, to the kids’ schools. They attend baby showers and parent-teacher conferences and court proceedings. And then, somebody did. Dori Morton—who was involved with Heart Change—and her husband, Frank. A week later, Sarah found the house she wanted. When she and Dale walked in the first time, he felt “nauseated.” It was falling apart, full of junk, and smelled horrible. 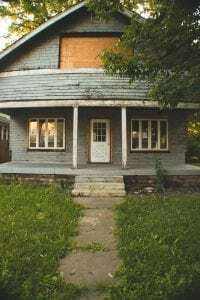 They bought the place and gutted it; now it’s a charming 1913 home with an open floor plan, a fireplace, and a screened-in porch off their second-floor bedroom. From it, you can see both their well-kept backyard and also the scrap metal piled up at the neighbor’s. Another College Park couple moved in, and then another. Today, there are 12 College Park families living within a few blocks of each other and more thinking about making the move. “They’re not just cosmetically fixing the houses—they’re making them nice,” said Todd Ralston, who has lived in Brookside since the early ’70s. The Shaws now live two doors down from him. 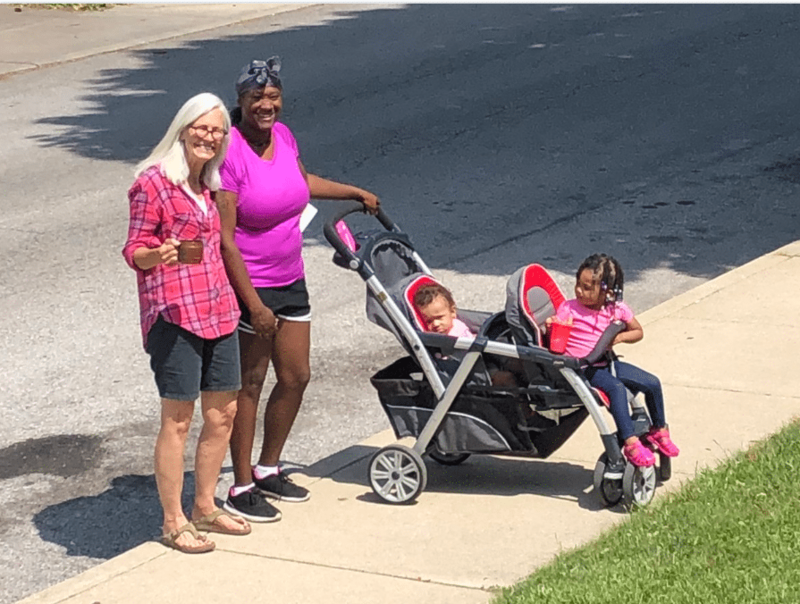 Now that Heart Change women are living in the same neighborhood, they walk together—and with Heart Change mentors—on Tuesday evenings. They have coffee on Saturdays. They sit on each other’s porches. Shaw’s dream is for every one of the 50 blocks in Brookside to have an “anchor house,” where a solid College Park family lives missionally. 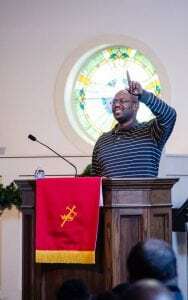 To drum up interest, he offers “roadies,” or short road trips through the neighborhood and ministries for College Parkers on Saturday mornings. On it, Shaw explains the “five pillars of a healthy community” he’s seen change the community—a culture of place and relationship, Jesus-centered churches, opportunities for economic development, strong educational structures, and safe and affordable housing. The roadies are working; of the about 250 people who have been on one, 36 are thinking seriously about moving in. Still, it’s a lot to ask. The blocks with Covenant housing and College Park homes feel moderately safe (no bars on the doors or windows), but last month someone dumped the bodies of three decomposing dogs a few streets over. Last year, a man was shot dead in an alley, a teen was shot and killed in front of the public elementary school, and two children were kidnapped over unpaid drug money. In the last six months, Brookside has had 376 reported crimes, including 69 against a person (mostly battery), 135 property crimes (including theft, fraud, vandalism), and 42 crimes against society (such as prostitution, juvenile runaways, criminal trespassing). 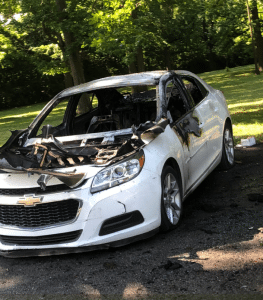 In comparison, the neighborhood just to the north of Brookside had half the crime (175 incidents in the past six months), and at least one on the other side of the interstate had 7 percent of the crime (27 incidents). The Shaws are leaning on that help. “We think the gospel has the power to light up the whole neighborhood,” Dale Shaw said. He’s already seen it, in the smiles and waves of neighbors, in the kids giving speeches at The Oaks and the men praying before work at Purposeful Design, in the funeral he did for a neighbor in which he laid out the gospel message. He sees it in the houses themselves, with their fresh paint and cut lawns and bright flowers. And he sees it in himself, in his prejudices that have been challenged and his heart that has been softened. Her heart change can hardly be overstated. Schneider and her husband are finishing up an adoption process—they’re taking home two children of a Heart Change mother who could no longer parent. He knows that College Park can’t cure poverty in Indianapolis. Indeed, as Brookside brightens, drug deals and violence may simply darken another area of town.